LISTED $40K+ BELOW appraisal. "WIN INSTANT EQUITY". Imagine a great house and instant profit!! !Come see this meticulously maintained semi- custom RANCH STYLE home, perfectly situated on a quiet cul-de-sac, 10Ft ceiling, newer windows. Large family room with fireplace open to the kitchen.Breakfast nook and heated Sunroom. The kitchen has newer appliances and brand new solid surface countertop. The main floor study could be used as a 4th bedroom. The large Master Suite includes a walk-in closet AND an adjoining 5-piece Master Bath.Heated/ac sunroom with a fabulous view of the mountains and quaint backyard garden. Additional 1000 sq ft provides lots of storage, a 4th or 5th bedroom, 1/2 bath and a rec room. Most mechanical features have been replaced within the past few years. Newer roof with 50-year warranty and so much more. 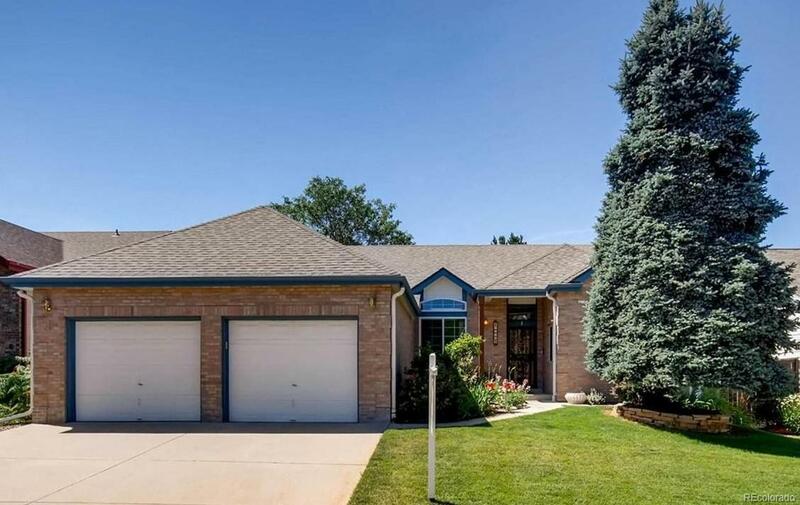 Walk to elementary school, Parks, trails, 4 rec centers, Close to Shopping, Restaurant ,C470, Park Meadows, light rail. This home shows pride of home-ownership.